Paceline is a community bike ride based in Augusta, Georgia where 100% of all fundraising goes to fund critical research and survivorship at the Georgia Cancer Center. The Opening Ceremony celebration at Augusta University-Summerville campus is on Friday, May 10th, 2019 from 4 PM to 9 PM. Riders and Virtual Riders will rally together and enjoy an evening full of food, drinks, incredible cancer fighting stories, and live musical performances featuring Chris Janson. Here, Riders will also pick up their packet, check their bike into a secure bike corral (optional), and check in their bag (optional). 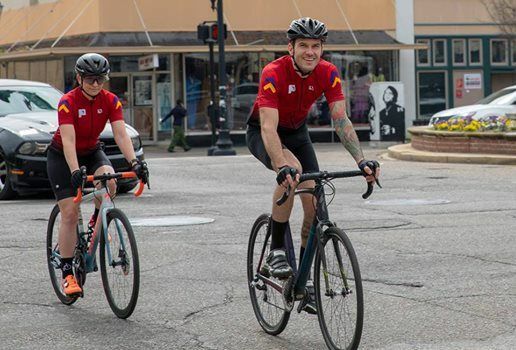 The ride will begin at Augusta University-Summerville campus the morning of Saturday, May 11th, 2019. The three routes (20, 45, and 100 miles) encompass some the most beautiful parts of the State of Georgia. The point to point structure of the route allows a linear track of the event where more can see and many more communities can become involved with the Paceline movement! At each finish venue there will be a post event celebration where you can relax, enjoy some great food & drinks and listen to live entertainment before taking a shuttle back to Augusta. 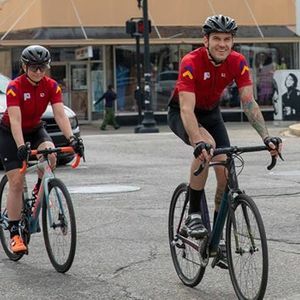 Reminder: Although the Ride Weekend is in May, all riders and virtual riders have until July 10th, 2019 to meet their fundraising goal!